Principal Investigator, Instructional Design Training for ICT-Based Distance Learning in Asia, PAN-DLT (Asia): Networking Distance Learning Technology Engines for Research, IDRC, May 2005 – October 2007. Investigator, Needs Assessment and Environmental Scanning for the CGIAR Global Open Agriculture and Food University (GO-AFU) in the Southeast Asian region, International Food Policy Research Institute, August 2004.Project Director, Synthesis of Development Communication Research in the ASEAN Region, AMIC, October 2003 to February 2004. Investigator, Community Broadcasting, Concept and Practice. University of the Philippines Creative Work Award Project. January-December 2003. Project Leader, Assessment of the Telecommunications Infrastructure in Present and Potential Learning Center of the U.P. Open University, January 1995-May 1996.Investigator, Synthesis of Environmental Communications Research in the Philippines: Some National Policy Implications, U.P. Los Baños, January-December 1995. Project Leader, Rapid Appraisal of Farmers’ Awareness of the Grains Productivity Enhancement Program, Department of Agriculture, Philippines, March-May 1995.Investigator, Audiences and Information Needs of IRRI Scientific Publications, International Rice Research Institute, 16 April 1991 to 15 April 1992. Investigator, Synthesis of Selected Development Communication Research in the Philippines: Some Policy Implications in Agricultural Development Program Implementation, U.P. Los Baños, January-December 1990. Investigator, Communication and Training Factors Associated With Technology Transfer in Rural Development, Philippine Council for Agriculture and Resources Research and Development, (PCARRD), July 1987 to March 1988.
, Rationalized Development Communication Research, Research Training and Research-Based Information Utilization Program for the Philippines. PCARRD, January 1983 to March 1986. Study Leader, Planning and Implementation of a Training Program for Farm Broadcasters. National Food and Agriculture Council, Philippines, October 1976 to May 1977. Librero, Felix. 2016. Agcom-Devcom Crossover, A Participant Observer’s Journ. ey. E-Book published by the U.P. Open University, Los Banos, Laguna. ___________. 2012. Writing Your Thesis, A Practical Guide for Students. Los Banos: U.P. Open University. ___________. 2008. Distance Education in the Philippines, Issues and Concerns. Philippines: UP Open University: Los Banos, Laguna. __________. 2004. Community Broadcasting: Concept and Practice in the Philippines. Singapore: Eastern Universities Press. __________. 2000. Environmental Advocacy. UP Open University. __________. 2000. Communication Research and Evaluation. UP Open University. __________. 1996. How to Write a Thesis Proposal3rd Edition, Second Printing (Revised Edition, 1992; Original Edition, 1985). College, Laguna: UPLB College of Agriculture Publications. __________. 1985. Rural Educational Broadcasting, A Philippine Experience, College, Laguna: Friederick Ebert Stiftung. Librero, Felix. 2010. Training Asian instructional designers. In Jon Baggaley and Tian Belawati (eds. ), Distance Education Technologies in Asia. New Delhi: SAGE Publications, pp.214-226 Librero, Felix. 2007. Digital learning environment in the Philippines. In Rosario-Braid, Florangel; Ramon R. Tuazon; and Nora O. Gamolo (eds. ), A Reader on Information and Communication Technology Planning for Development, 2nd Edition, AIJC, Manila, pp. 172-180. ___________. 2006. Innovative ICTs in the ASEAN Region. In Jon Baggaley (ed), Information and Communication Technology for Social Development, ASEAN Foundation, Jakarta, Indonesia, pp. 55-68. Librero, Felix. (2008). Quo vadis, development communication? The Journal of Development Communication, XVII, 2, 71-78. ___________, et al. (2007). Uses of the cell phone for education in the Philippines and Mongolia. Distance Education, 28, 2, 231-244. ____________. (2007). Policy environment for distance education in the Philippines. Southeast Asian Journal on Open and Distance Learning, V, 3, 40-62. ____________. (2005). Status and trends in development communication research in the Philippines. Media Asia, 32, 1, 35-38. ____________. (2005). Bringing quality education to the doorsteps of the Filipino learner: experiences of the University of the Philippines Open University (Chinese Version), Distance Education in China, No. 5, Serial 248, 52-58. Carbonel, Nenita R. and Felix Librero. (2005). Communication variables associated with utilization of upgraded goat production technology in Nueva Ecija, Philippines, The Philippine Agricultural Scientist, 88, 2, 473-476. Librero, Felix. (2004). Information and communication technology. Educational Journal, Vol 23, No. 3 (August 2004), 7, 9, 11. ___________. (2003). Bringing quality education right at the doorsteps of the Filipino learner: the U.P. Open University experience. Southeast Asian Journal on Open and Distance Learning, Vol. I, No. 1, 89-114. Soekartawi, Anung Haryono, and Felix Librero. (2002). Greater learning opportunities through distance education: experiences in Indonesia and the Philippines. Journal of Southeast Asian Education, December 2002, Vol. 3, No. 2, 283-320. Librero, Felix. 1999. Towards quality higher education in agriculture: the information technology imperative. The Journal of Development Communication, 10, 1, 42-51. ___________. 1999. Telecommunications applications in rural development in the Philippines. Media Asia. 26, 1, 24-28< ___________. (1998). Environmental communication in the Philippines: what the research says. The Journal of Development Communication, 9, 46-53. __________ (1994). Relevance of social science research: some random comments. Trinity Research Journal 6, 1, 38-40. Librero, Felix. (1993). Community radio: an alternative for broadcasting. Media Asia, 20, 4, 218-223. ___________. (1993). Towards a methodology for problematique analysis: a Philippine experience. Asian Journal of Communication, 3, 1, 84-102. ___________. (1993). Synthesis of development communication in the Philippines. U.P. Los Baños Journal, 3, 1&2, 23-50. ___________. (1993). Scientific communication issues in the Third World setting. U.P. Los Baños Journal, 3, 1&2, 148-157. ___________. (1991). Communication concerns of the scientific community. 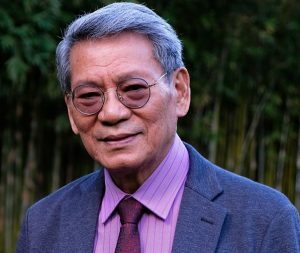 The Philippine Agriculturist, 74, 2, 283-290. Librero, Araceli D. and Felix Librero. (1991). Disseminating upland research information in the Philippines. The Journal of Development Communication, 2, 1, 9-15. Librero, Felix. (1990). Development communication strategies: some experiences in the Philippines. The Journal of Development Communication, 1, 1, 9-15.< ___________. (1989). Communication in the technology transfer process. The Philippine Agriculturist, 72, 2, 237-245. ___________. (1988). New communication technologies for education and information flow. Philippines Communication Journal, 2, 6, 1-17. ___________. (1987). Communication research and strategies in rice production programs in the Philippines: some policy implications. Philippines Communication Journal, 1, 3, 56-67. ___________. (1986). Need assessment: definition and application in the socio- context. Devcom Quarterly, 4, 1-2, 53-69. Cayaban, Agnes Gina-Lyn S. and Librero, Felix. (1986). Radiovision as a technique in instructional broadcasting. Devcom Quarterly, 3, 3, 1-27. Librero, Felix. 1985. Problem structure analysis of the national communication systems of the Ministries of Agriculture and Natural Resources. Devcom Quarterly, 2, 2, 1-14 ___________ . (1983). Prosocial television research. Devcom Quarterly, 1, 2, 4-18. ___________ . (1983). Reviewing the scientific literature. Devcom Quarterly, 1, 2, 22-26. ___________ . (1983). What is resonance theory of communication? Devcom Quarterly, 1, 4, 22-26. Librero, Felix. (1983). Instructional development in educational television: the case of tele-aralan ng kakayahan. Devcom Quarterly, 1, 4, 33-49. Puyaoan, Grace T. and Librero, Felix. (1982). Management problems of television. Research at Los Baños, 1, 3, 6-8< Lalog, Grace T. and Librero, Felix. (1982). Credibility of unnamed sources in newspapers. Research at Los Baños, 1, 2, 6-8< Librero, Felix. (1982). UPLB faculty favor increased media use. Research at Los Baños, 1, 1, 10-15. Librero, Felix. (1982). Communication strategies and delivery systems for training programs in rural development. Technical Bulletin No. 68, Food and Fertilizer Technology Center, Taipei, Taiwan. pp. 41-47.